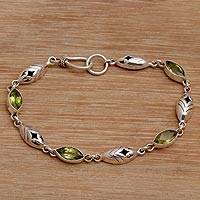 Balinese Peridot and Sterling Silver Link Bracelet, "Opulent Nature"
With its lime green sparkle, peridot is a warm, friendly, happy stone. 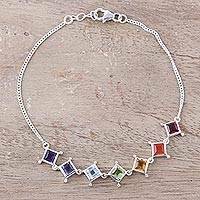 It is the birthstone for those born in August. 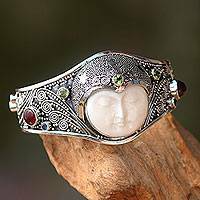 Novica presents a beautiful collection of peridot bracelets, hand-crafted with skill and precision by artisans worldwide. 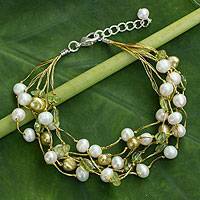 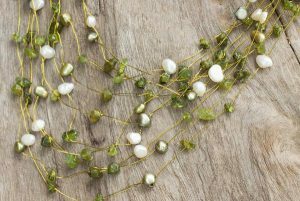 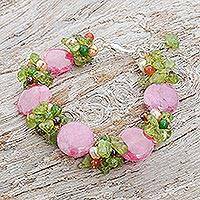 Our favorite jewelry artists like Anusara in Thailand string peridots together with many other gemstones to make gorgeous cluster bracelets with matching peridot earrings and peridot necklaces, making up some of our most popular jewelry sets. 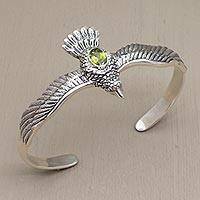 Our peridot bracelet collection features primarily sterling silver settings with peridot embellishments in a variety of types and styles, including cuff bracelets, bangle bracelets and pendant bracelets. 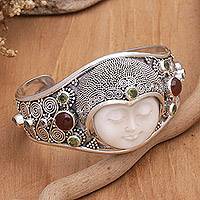 Each Novica artisan and jeweler brings a personal style to every design.